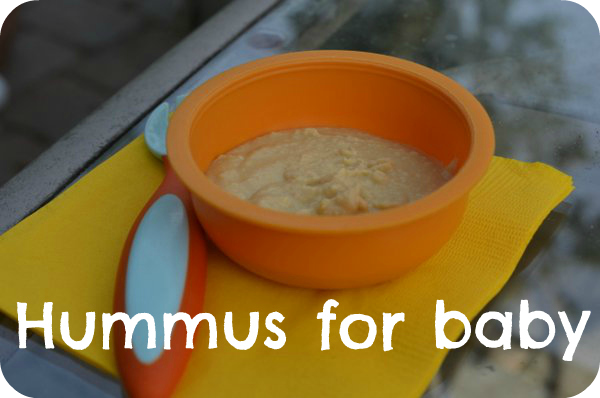 I was all set to make some hummus for our lunch…when I realized we didn’t have any tahini! I tried making it, basically substituting a whole lot of lemon juice for the tahini. I thought it turned out pretty well, and the best part is that both my 1 year old and my 4 1/2 year old ate it up! For my baby, I served it plain. 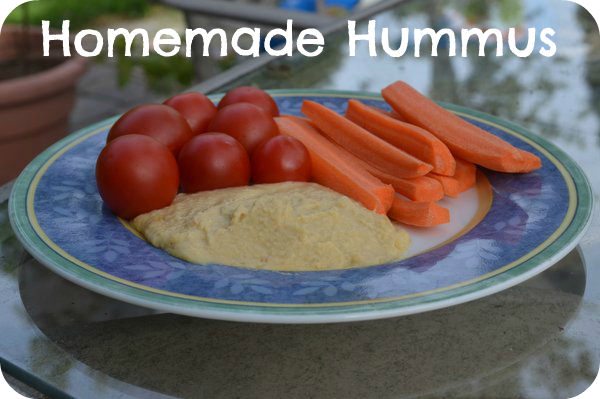 For my older son, I added carrots and tomatoes to dip. Add everything into a food processor, and process until smooth. This made enough for us to use for four lunches. We love to eat outside, and this packed well for picnics. We brought it in a jar with vegetables to dip, and we also used hummus as a spread on a sandwich with sliced cucumbers and tomatoes.